There are two major options for payday loans: local payday loan stores and online payday lenders. You may wonder which offers the best payday loans, but neither online payday loans nor loans from brick and mortar payday loan stores deserve the title. Both types of payday loans present hazards that can ruin your financial well being. Those who claim that brick and mortar payday loan stores provide the best payday loans list two features: instant funding and a local presence. With a local payday loan store, you present your application and one or more postdated blank checks to a clerk or agent. If you’re approved, you receive cash on the spot. And because brick and mortar payday loan stores are operated locally, they are somewhat more accountable to law enforcement authorities than online payday loan sites. But many local payday loan stores are simply outlets for national chains, or even for payday lenders with headquarters located overseas. Unscrupulous brick and mortar payday loan stores threaten borrowers whose checks fail to clear with criminal prosecution for writing bad checks. And there’s the aggravation of rushing across town to get to the payday loan store before it closes, not to mention the risk of an embarrassing encounter with a friend or acquaintance. If you have ever wondered which online payday lenders should be considered the best payday loan sites, the short answer is: none of them. While it is possible to find listings for the so-called best payday loan sites, a closer look reveals that there is little that is good about any of them. In fact, many payday loan sites are not operated by payday lenders at all, but by aggregators. Claims that online payday lenders offer the best payday loans are based on the initial convenience and privacy associated with online payday loans. You can apply for online payday loans at home on your own time – including evenings and weekends. Many online payday lenders require no documentation other than your bank account information and proof that you draw a regular paycheck. Your loan funds are deposited directly into your bank account so you don’t risk carrying around large amounts of cash. But with online payday loans, you must often wait overnight to receive your funds. If you apply over a weekend or on a holiday, you might not receive your funds until days later. In addition, many online payday lenders are based out of state or even outside the country, out of reach of local, state or federal jurisdiction. There are also security risks associated with online payday loan sites, many of which are not administered by lenders, but by aggregators that sell your personal information to anonymous third parties. With the recent rash of electronic data breaches, you might be justified in worrying where your information might wind up. One popular ranking and review website includes a number of features by which they rank the best payday loan sites. Included are no minimum monthly income requirement, no credit check and available loan rollovers. But these factors contribute to the payday loan trap that endangers the financial security of millions of payday loan borrowers. 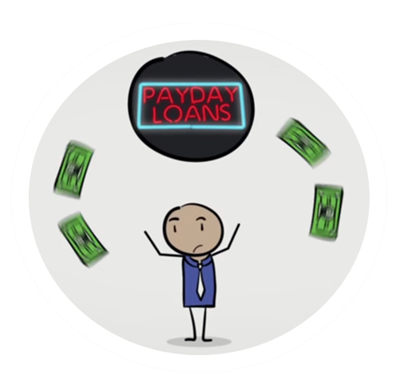 Payday lenders don’t conduct conventional credit checks because they base their lending decisions almost exclusively on the existence of a steady source of income from their borrowers. Repayments for payday loans are based on their borrowers’ next paychecks, which could occur just a few days after their loans are disbursed. Coupled with extremely high interest rates, short repayment periods for payday loans make it impossible for many borrowers to repay loans in full on their original repayment dates. But payday lenders don’t do borrowers any favors by doing loan rollovers. Instead, each rollover becomes essentially a new loan, with a fresh set of fees and interest charges applied. In many cases, borrowers wind up repaying many times what they originally borrowed before their payday loans are finally paid off. Several of the so-called best payday loan sites are not actually lenders. Phrases such as “THE OPERATOR OF THIS WEBSITE IS NOT A LENDER,” printed in all caps, are giveaways that a payday site is actually an aggregator. Some aggregators work with a select group of payday lenders; others distribute information to a large number of third parties. At best, borrowers who submit information to payday loan aggregators find their email inboxes flooded with unsolicited messages “inviting” them to “accept” payday loan “offers.” At worst, borrowers may be targeted for payday loan scams or attempts to steal their identities. 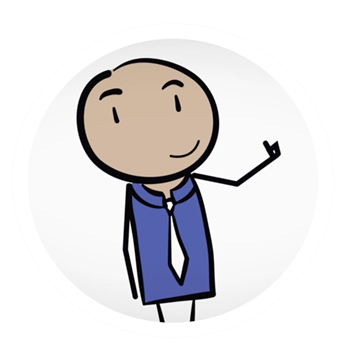 With LoanNow, you get the convenience of an online lender. But unlike many payday lenders, we never sell your information to third parties. There is no documentation, no faxing,** and nearly everyone receives a response within 24 hours.† If you’re approved and your bank participates in our Instant Funding ‡ system, you could receive your money within minutes. * And with monthly installment payments and no rollovers, your loan won’t multiply into an unmanageable burden. LoanNow is a better alternative than even the so-called best payday loans. And as an accredited business with the Better Business Bureau, LoanNow has earned an A+ rating – so you can borrow with confidence! Is LoanNow A Real Payday Lender? Looking For A Bad Credit Payday Loan? Looking for Cheap Payday Loans?